Our clients can avail superior quality of Polyester Slings, which is extensively used as Heavy Material handing Equipments in various industries like Power plants, Heavy machinery manufacturing unit, Paper plants, Building & Constructions and Military Construction Works etc. Moreover, our product is manufactured with high tenacity 100% polyester yarns with relative density of 1.38 & melting point of 260 deg. C and it is in accordance to prevailing industrial standards(as per regulations of the IS 15041-2001 - BS EN 1492-1:2000; BS EN 1492-2:2000; BS EN 12195-2;2001 resp..) . 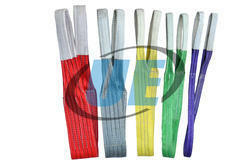 Additionally, our polyester slings come with higher resistance and long service life. 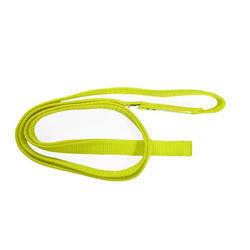 Besides this, we also customize these polyester slings as per clients' specifications. We offer these products at virtually unmatched price in market. Backed by a team of dexterous professionals, we are engaged in providing a quality approved Polyester Slings. Will not mar, deface, or scratch the most highly polished metal surface and is equally gentle to non-metallic loads. Lightweight and extremely flexible; they are easily and quickly handled and adjusted to the load. 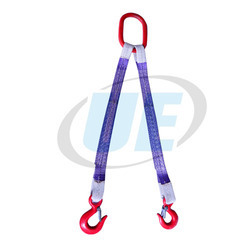 With widths from 1” to 24” (or even wider) there is a synthetic sling to accommodate every lifting application. Unaffected by mildew, rot, or bacteria, and have excellent abrasion resistance, whether in nylon or polyester, are treated to repel moisture and dirt, and to reduce the effects of abrasion. 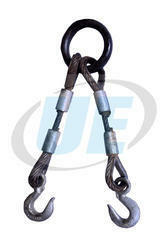 We are one of the prominent distributors, suppliers and exporters of a wide range of Lifting Slings. 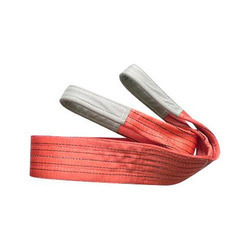 These slings are procured from the reliable vendors of the market, who manufacture the entire range using high-grade raw material and advanced machines. 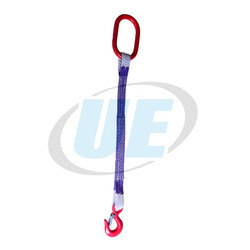 We offer these slings in various sizes to meet the variegated requirements of our clients. We are offering 4 Legged Polyester Multileg Sling. We are offering Polyester Round Sling. we are successfully engaged in offering qualitative range of Wire Rope Sling With thimble that is extensively demanded for electrical applications.Additionally, we offer this wire rope in various dimensions as per the exact requirements of our precious clients. 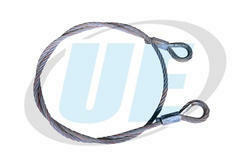 A premium quality range of Wire Rope Sling. 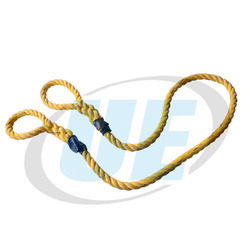 These rope slings are manufactured using quality assured raw material employing latest tools and techniques. 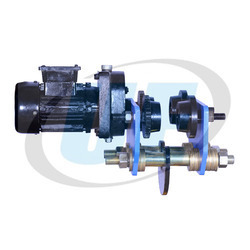 Our offered product is highly appreciated by our customers due to high efficiency and sturdy construction. We are offering 1 Legged Polyester Multi Leg Sling. 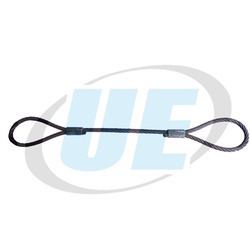 Single Legged Wire rope slings are one of the most frequently used type of sling in industry today, offering a dependable and economical solution for most lifting applications. 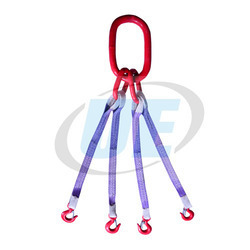 Many sling configurations are available in order to support a wide range of different lifting applications, including single and multi-part dlings. We are offering 2 Legged Polyester Multileg Sling. 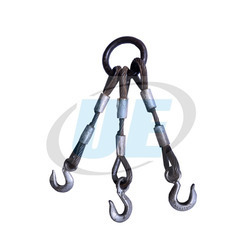 Designed with 2 legs, the offered sling is widely demanded for moving and lifting materials in shipping industries. Sternly checked on several measures of quality Also, this 2 Legged Wire Rope Sling is made available to the patrons within committed time frame. We are offering 3 Legged Polyester Multi Leg Sling. Driven by immense market knowledge, our organization is affianced in offering world class array of 3 Legged Wire Rope Sling. 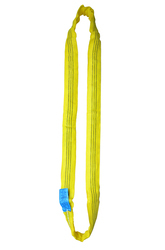 Having ability to carry heavy loads, this sling finds its application in several warehouses, industries and factories. The offered sling is manufactured in sync with quality norms using quality-assured basic materials by our dedicated technocrats. In addition, this 3Legged Wire Rope Sling is made available to our clients in diverse specifications at industry leading prices. As a quality-oriented organization, we are focused to provide our clients excellent quality Flat Sling. 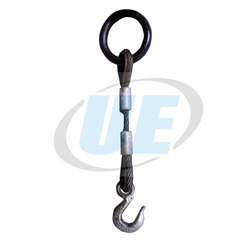 The offered sling is manufactured using top-notch quality components and advanced technology in line with industry norms. 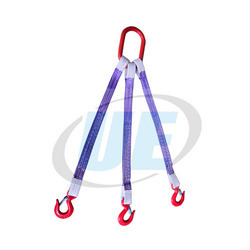 Widely used for scissor lift, garbage truck, construction equipment, this sling is availed in diversified models and specifications. Our provided sling is rigorously tested by quality examiners on various parameters. We are leading manufacturer of Motorized Trolley which are used in Cross Travel movement, and available in all different capacity. Size/Capacity 4 TON TO 20 TON CAP. 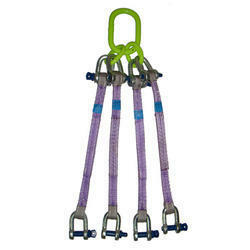 We are offering Polyester Multi Leg Sling.